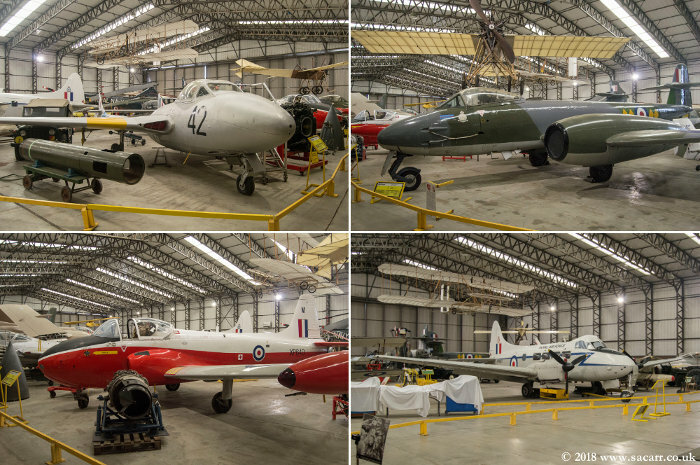 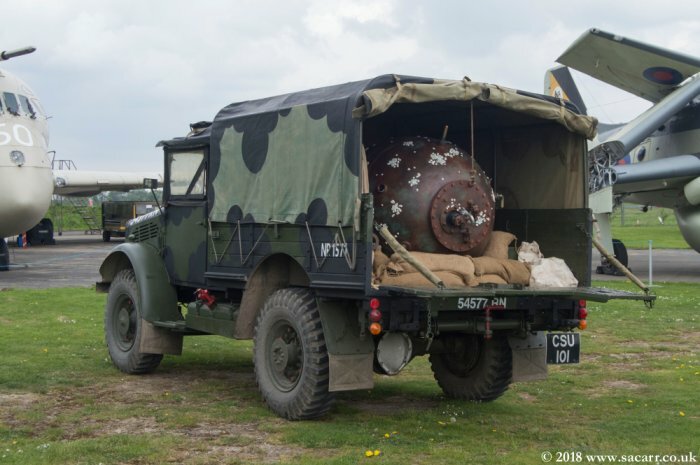 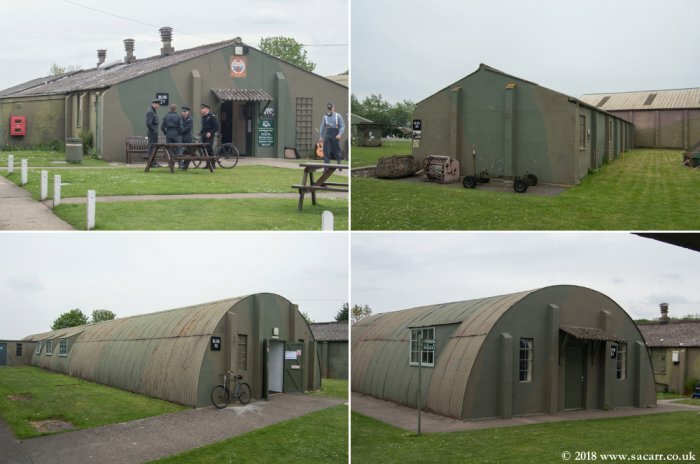 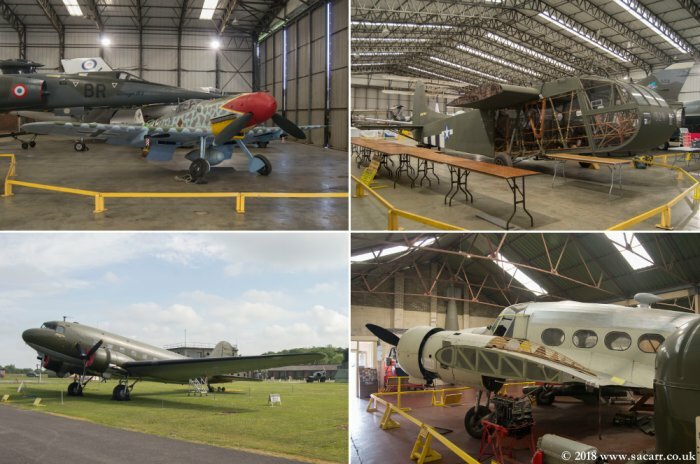 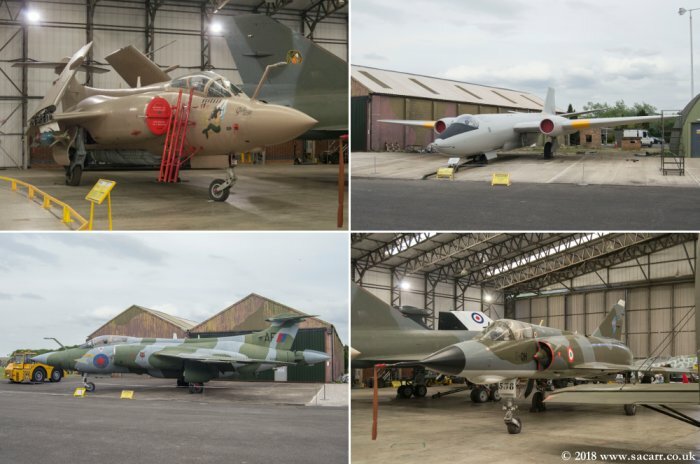 This was only the second "Against the Odds" event at Elvington, the museum's replacement for the Yorkshire MVT "Battlegroup North" event. 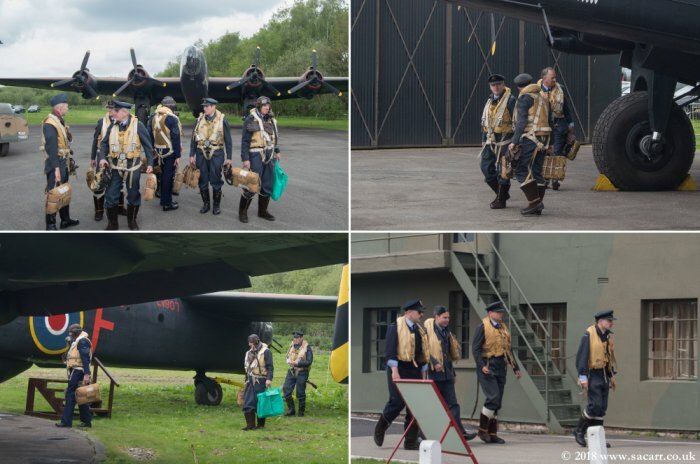 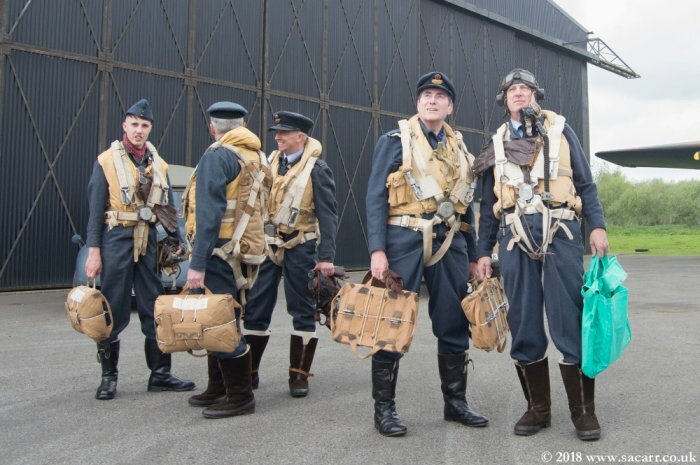 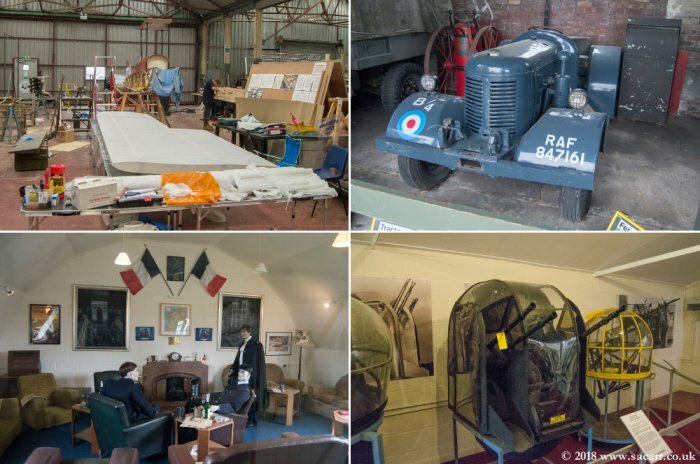 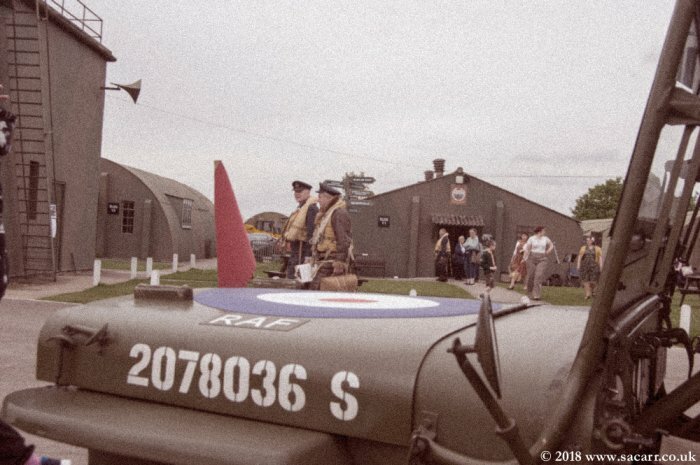 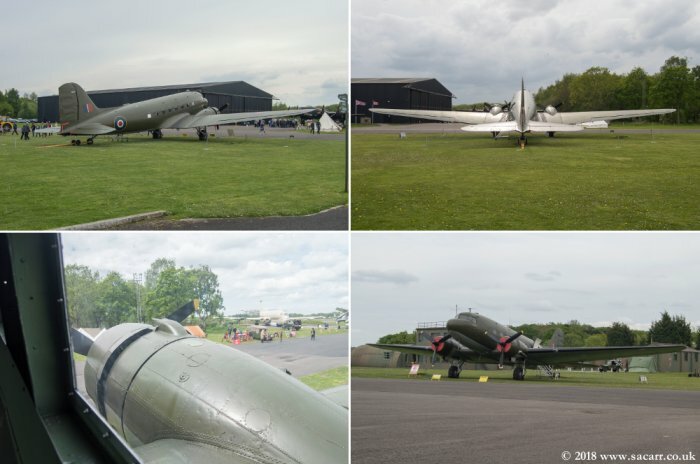 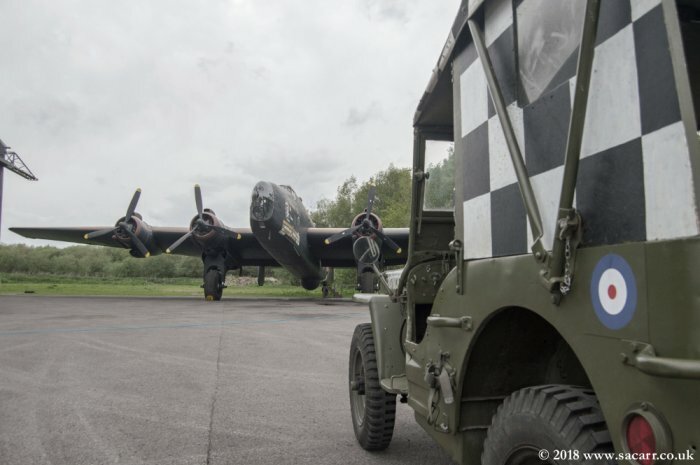 As seen below, it was a rare chance to see the Handley Page Halifax outdoors and get some unique photos. 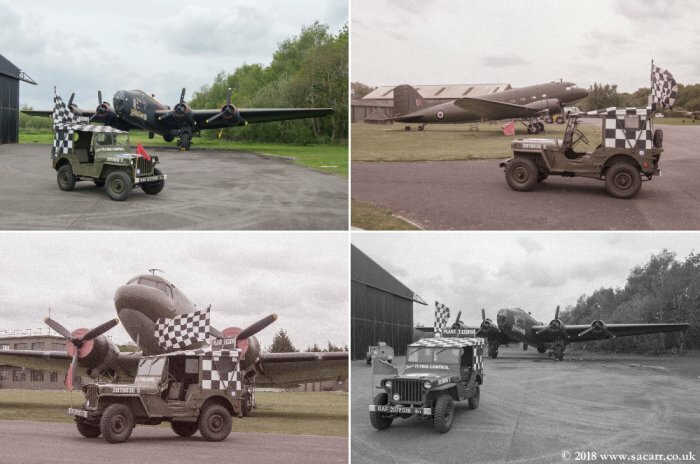 I trailered the Jeep to Elvington as I hadn't had enough time to check over the recent ignition problem to be confident of a long trip. 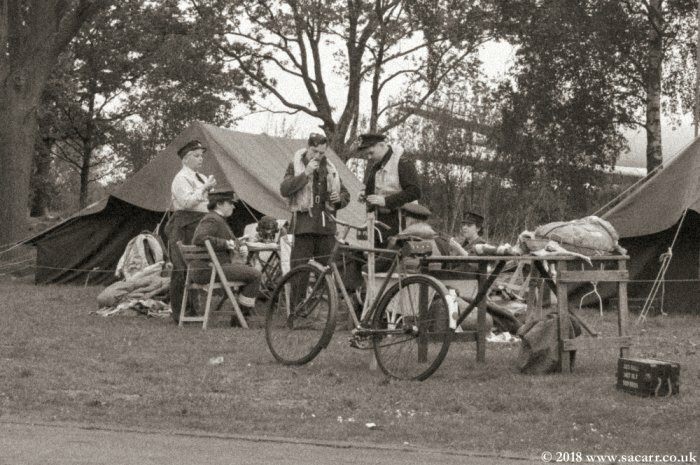 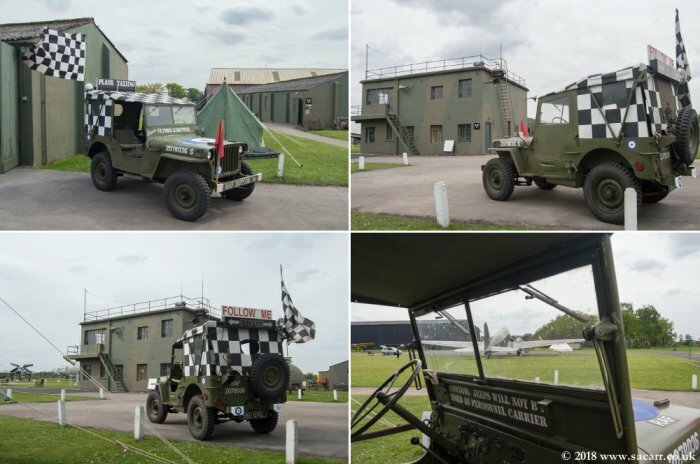 I arrived mid afternoon on Friday 11th and set up camp near the control tower. 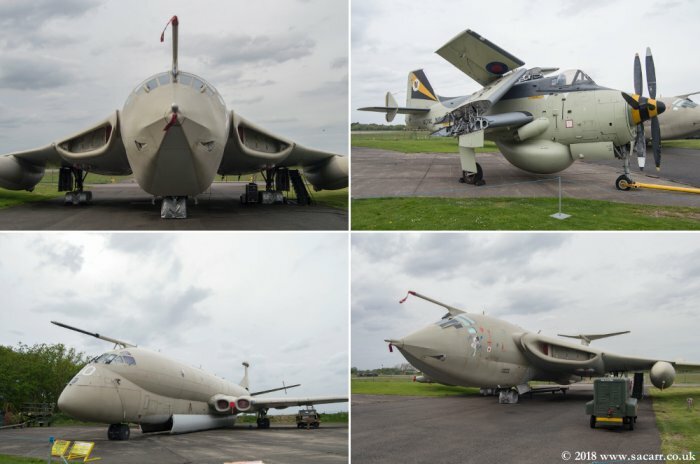 The rest of the day allowed me to get some photos of the Halifax and other museum exhibits without people in the way. 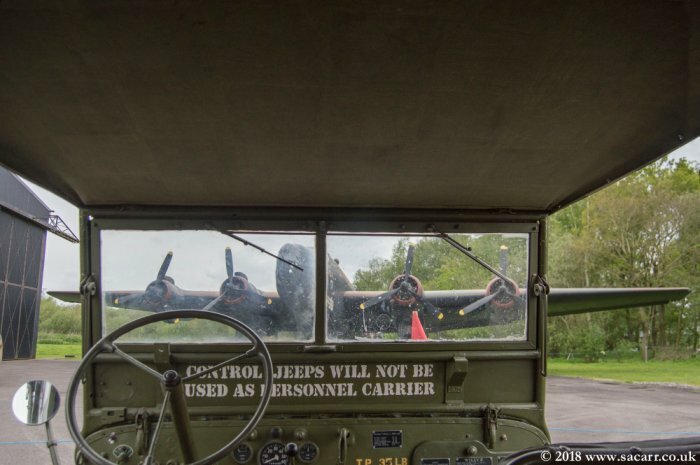 The Friday evening, after the museum closed and the public left, also gave me the chance to get the Jeep in front of the Halifax for pictures of the pair together for the first time. 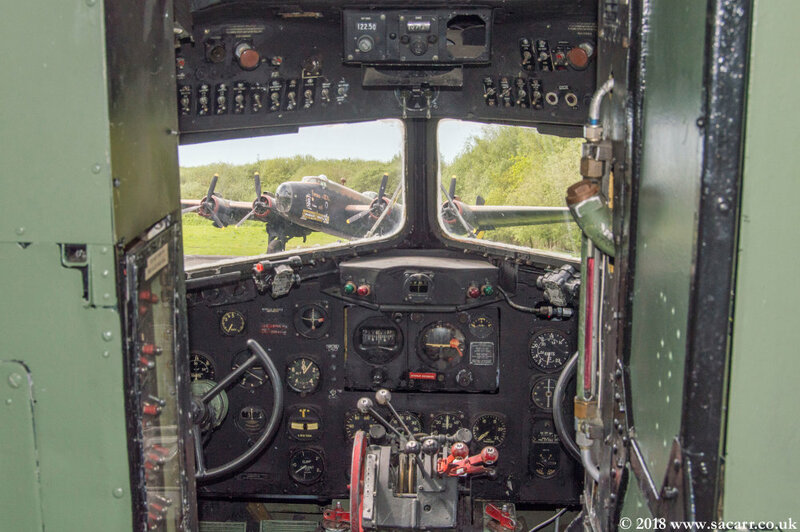 I took more pictures than I can show here, but having the Halifax outdoors is so rare, I didn't know when the next opportunity would be. 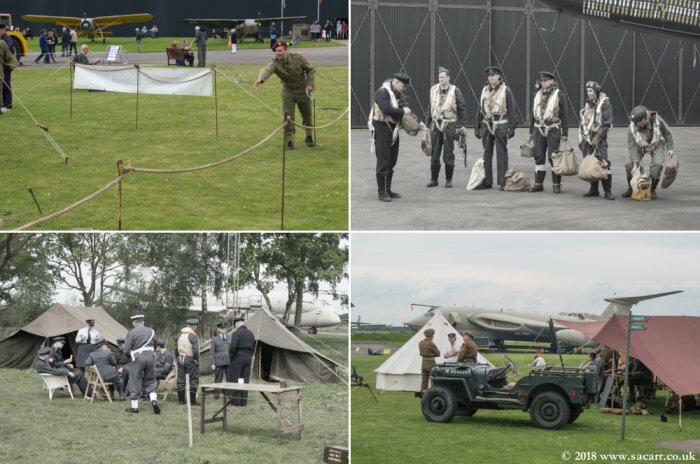 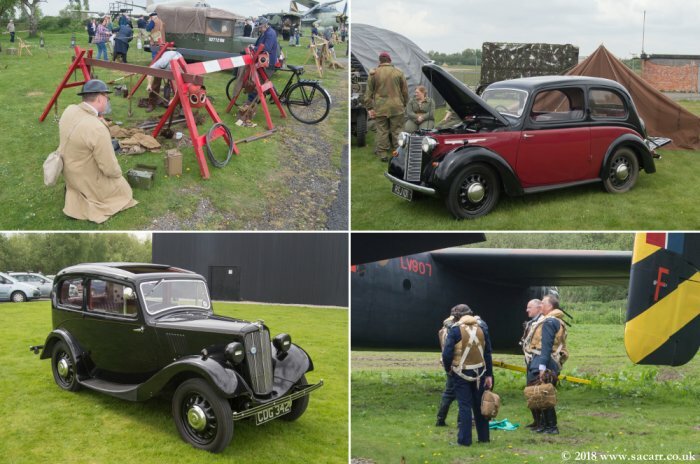 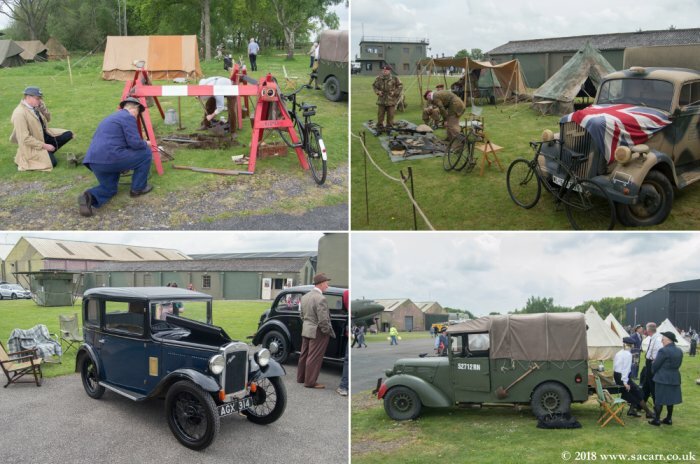 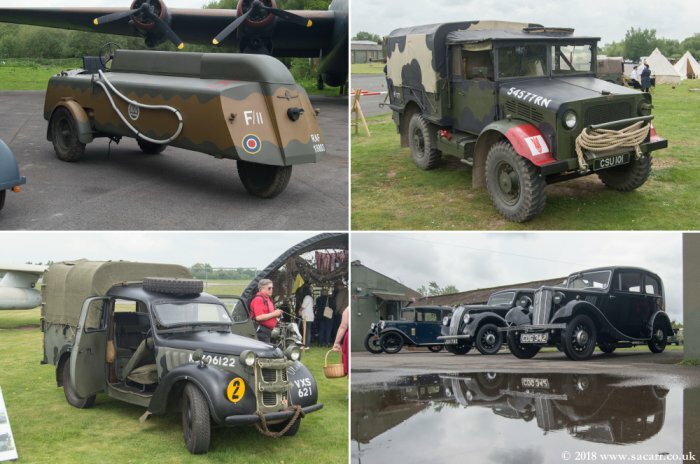 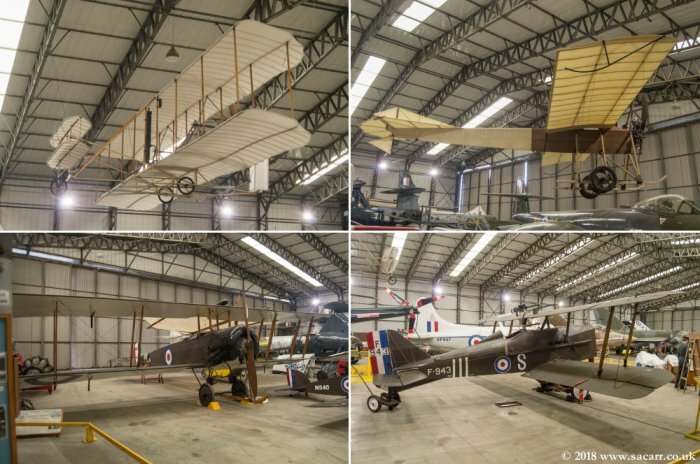 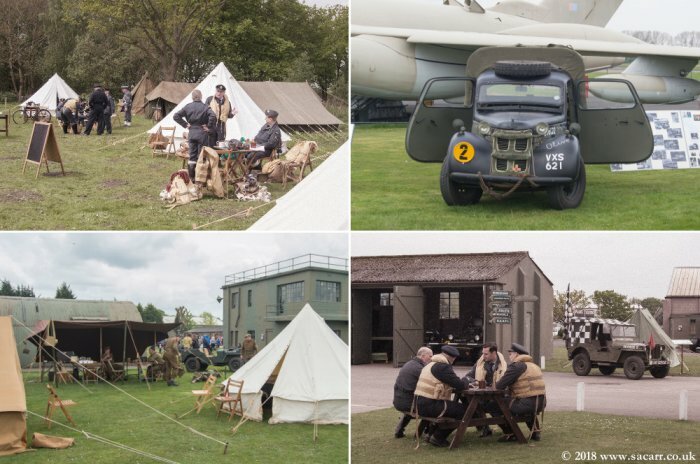 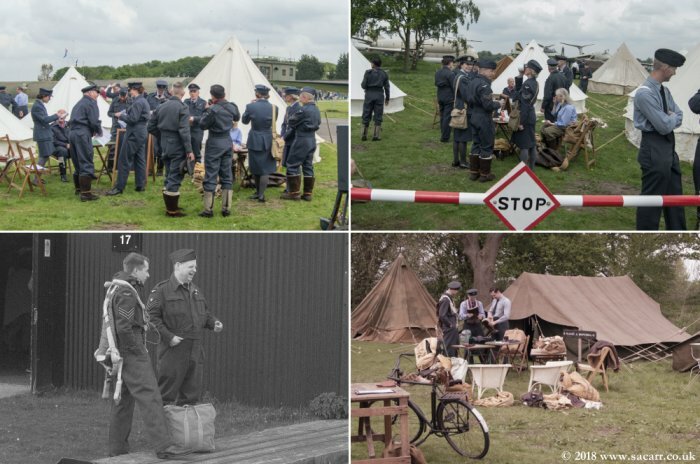 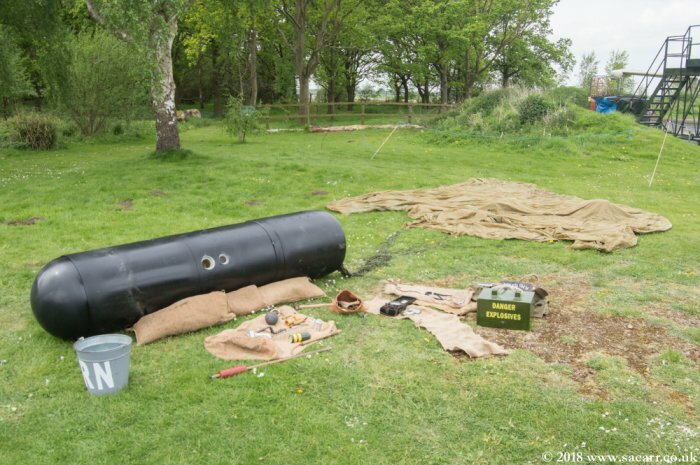 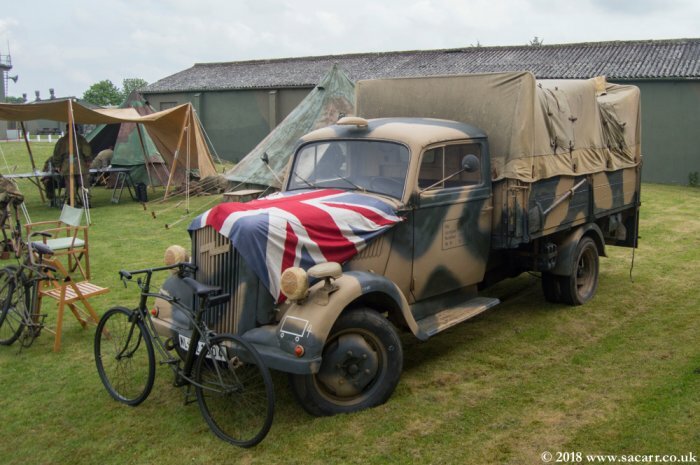 By Saturday morning all the re-enactor and vehicle displays had arrived and were set up ready. 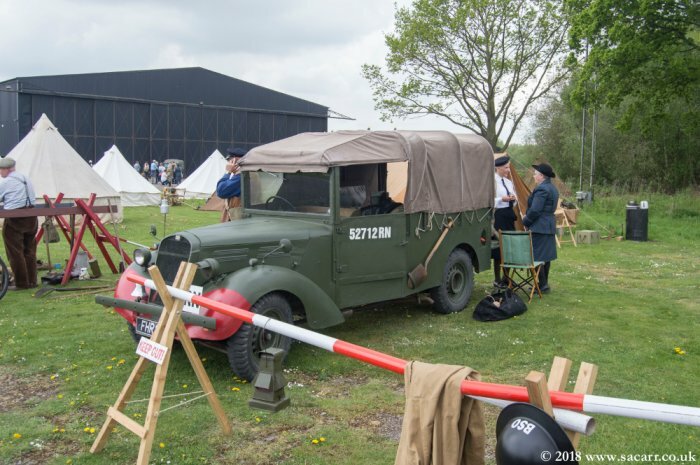 They included a few civilian cars, a few other military vehicles, bomb disposal, airborne troops and dancers. 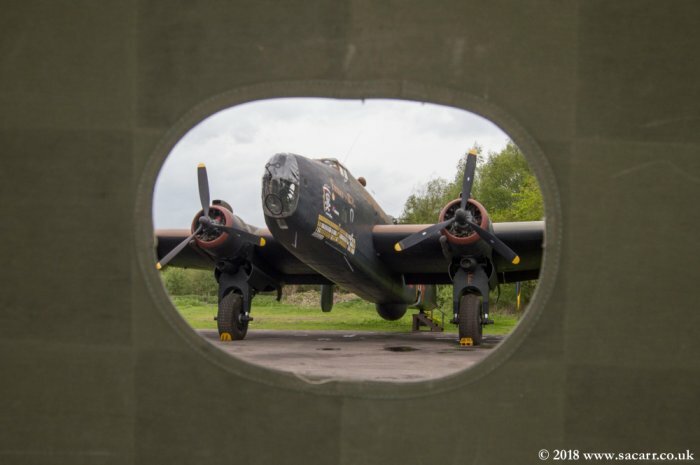 I've combined a number of pictures on this page to try and show as much as possible without the pictures getting out of hand. 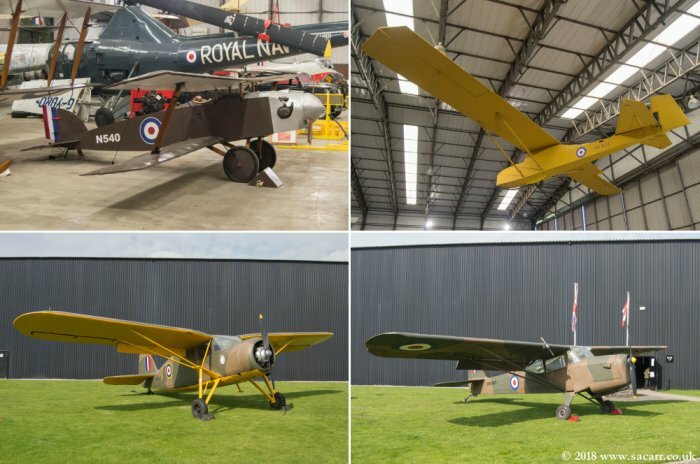 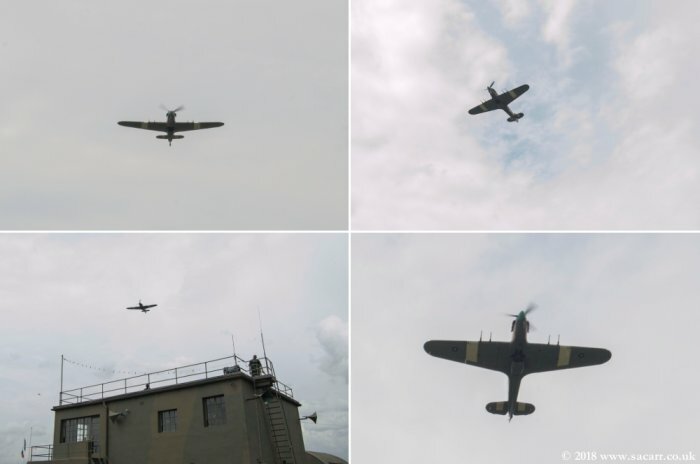 On Saturday afternoon, we had a flypast by the Battle of Britain Memorial Flight. 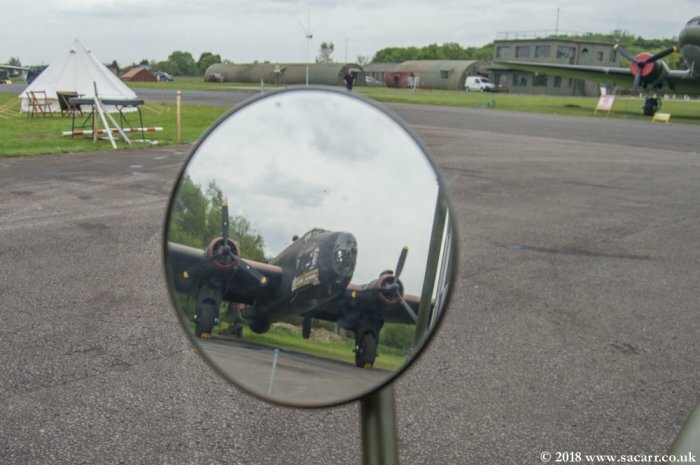 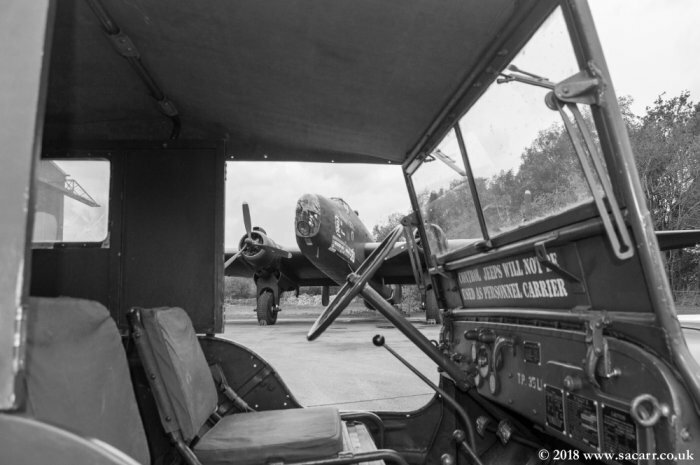 Later on Sunday, I got one last photograph of the Halifax from the cockpit of the Dakota, then it was time to pack the camp away and head home.